I had a pretty amazingly good 2008, all things considered. I traveled a lot: this was the first year of my life where I can say that I spoke four languages — even if my Dutch is still consistently horrible. 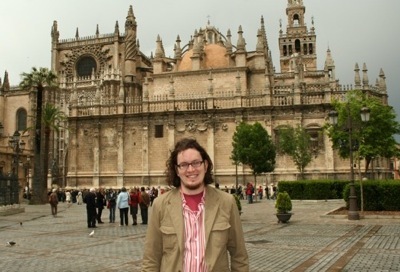 I finally made it to Spain (a long unfulfilled “wish”, since high school Spanish classes) and Scotland. Plus a wedding in Boston, house-sitting in London, a return to Berlin with Liz’s Mom, and a brief visit to Toronto. We made it back to Essen for Spiel (a giant games fair), and two trips to the Köln/Bonn area for the Christmas markets. The best thing I saw this year was The Wire (and I’m re-watching it again now, with Liz this time). I have the fondest memories of a meal I had at Zur letzten instanz in Berlin with Liz and her mom. Best fiction was probably The Anubis Gates by Tim Powers. Best non-fiction would have to be The Black Swan by Nassim Taleb. We’ve had regular, near-weekly game nights almost all year long, playing an insanely wide range of board, card and role-playing games — of which Dominion is probably my favorite. Mostly, I feel extremely, ridiculously lucky to have so many wonderful friends, now literally all over the world.